wget http://localhost/in.txt --2013-08-27 20:09:58-- http://localhost/in.txt Resolving localhost... 127.0.0.1 Connecting to localhost|127.0.0.1|:80... connected. HTTP request sent, awaiting response... 302 Found Location: http://localhost/xampp/ [following] --2013-08-27 20:09:58-- http://localhost/xampp/ Reusing existing connection to localhost:80. HTTP request sent, awaiting response... 401 Authorization Required Authorization failed. Reusing existing connection to localhost:80. 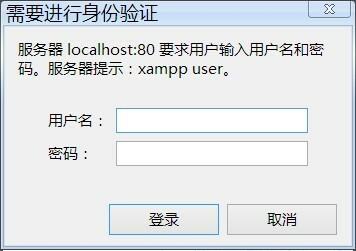 This entry was posted in Linux and tagged .htaccess, Authentication, XAMPP, 伪静态, 验证 by annhe. Bookmark the permalink.